With online accounting applications, there is one truism you can hold on to: No one app is perfect, no not one. 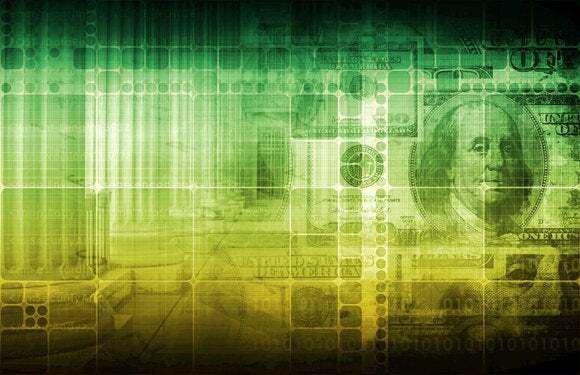 All offer essentially the same tools for keeping your business finances on track, but none offer what can be considered a complete set of tools. And none can perfectly satisfy every business’ needs. The reality is that none of these apps are exceptional, but all are serviceable, which, perhaps, is all you need in any business accounting application. All of these apps do a fine job of the basics: Invoicing, reporting, and automatic import of banking data and reconciliation of accounts. All also offer apps for invoicing and accessing your data with mobile devices and each also offer varying degrees of customization for your invoices and statements. In the interest of full disclosure, I have been a QuickBooks Online user for a little over a year. Of the four online apps I’ve looked at here, none offer anything that make switching from QuickBooks Online compelling. The differences between the apps are not significant. My personal favorite is FreshBooks, based solely on a single feature. I’d likely choose FreshBooks today if I was starting from scratch, but the best app by a hair is Xero. Xero is an excellent online accounting app that allows for an unlimited number of users and access to your data online or using your mobile devices. Xero (3.5 out of 5 rating; $9 to 180 per month depending on plan selected) and QuickBooks Online, are nearly interchangeable accounting apps with Xero leading the pack by a smidgen by virtue of the fact that, unlike any of the other apps I looked at, it allows you to add as many users as you want without any additional fees. All of the other online accounting apps start charging more money once you begin adding users to the system. You can use Xero to connect to your bank and credit card accounts, automatically downloading transactions nearly as they occur. When reconciling accounts, Xero looks at downloaded transactions and compares those with any invoices or items you’ve entered in the app’s ledgers. Reconciliation takes place in a window with two columns, one containing the downloaded transaction and the other with the matching transaction you’ve entered into Xero. If the transactions don’t match you can easily make changes or select another transaction from a list that Xero provides. Once you’re satisfied, clicking an OK button links the two transactions in your ledger. 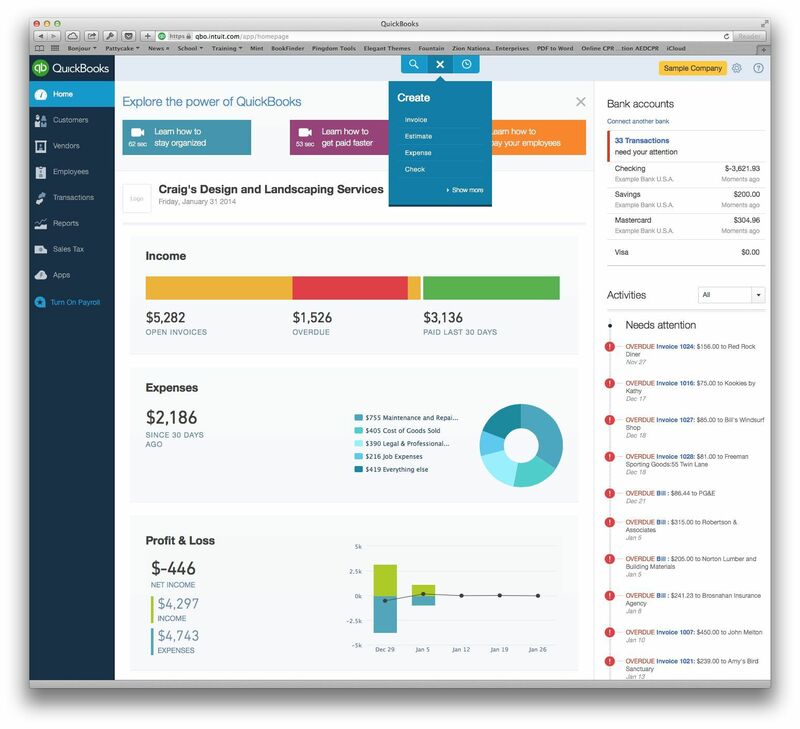 Xero’s Dashboard provides a single glance overview of your business and your current financial status. At the left of the Dashboard is a list of your bank and credit accounts and ther current balances. To the right is a list of your expected income for current invoices and information on any bills you’ve added. If you’re a QuickBooks user, Xero offers a free conversion service that is pretty fantastic, although it will require a little bit of legwork on your part. I provided my QuickBooks Online data to Xero and in just a few hours they’d converted, verified, and imported it into Xero. All without a hiccup. Xero offers forms customization for your invoices, statements, and other documents you might send to your clients. This tends to be the feature I like least in nearly every accounting application I use, and I dislike it as much in Xero as I do in any other app. Don’t get me wrong, your invoices won’t look bad, you just don’t have great customization options. If you’re trying to keep a detailed finger on your business’ financial status, Xero provides you with 26 reports, including everything from balance and aging reports to budget variance reports, all which can be customized to better suit your needs. Xero’s iOS app is pretty awesome, although it lacks what I feel is a killer feature: Options for tracking time billing information in the field. Sure, I love that I can create bills as soon as a job is done, check to see how much a client’s last invoice was without having to open a browser, and even snap pictures of receipts for purchases I’ve made in the field. But for many—myself included—time billing is the killer app. I shouldn’t have to use a third-party app to collect data that’s a part of my day-to-day business. 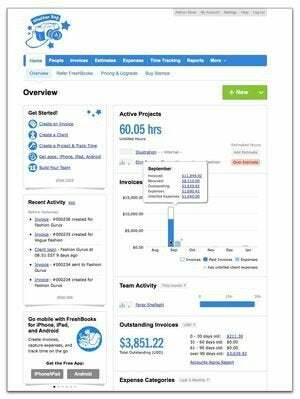 QuickBooks Online looks and works a lot like the desktop version of the app, only better. 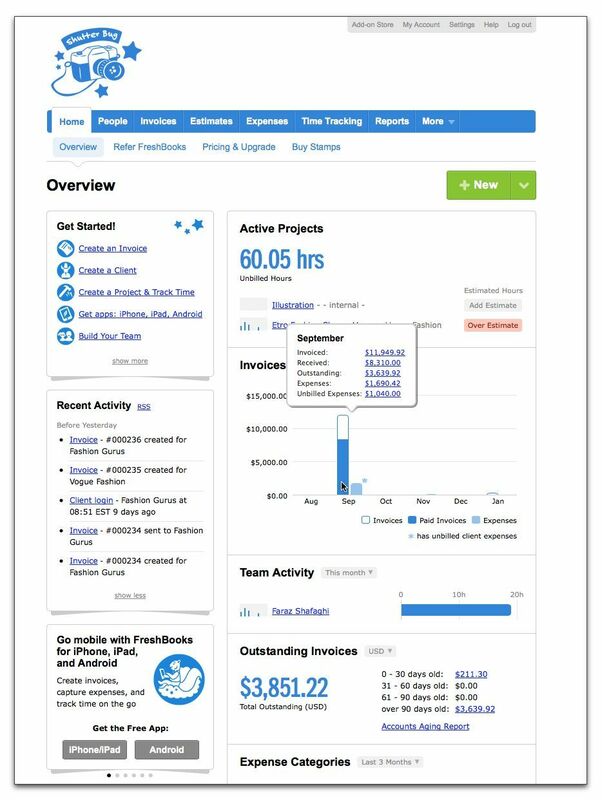 QuickBooks Online (3.5 out of 5 rating; $13 to $40 per month depending on plan selected) is by far the prettiest of the online accounting apps, taking a design page from both Mint (Intuit’s online personal finance app) and the latest version of QuickBooks for Mac. Of all the apps I tested, QuickBooks provided the best online access to all of my business-related accounts, including credit card and bank accounts. In short, I had no problem at all automatically downloading my business’ financial data from any of my sources, which wasn’t true of all the other apps. 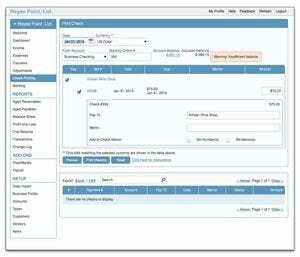 QuickBooks offers many more customization options for forms, including about 10 templates with a variety of themes. The reports are clear and beautiful and provide an excellent graphical view of your business information. In fact, the web-based reports are of better quality than are those in Intuit’s desktop accounting app. I do have one complaint about QuickBooks Online and it has nothing to do with the way it works as an accounting app and everything to do with why it isn’t the best app in this list: Advertising. QuickBooks Online is endlessly flacking for other Intuit products, like online payment options for your customers or Intuit’s payroll services. Stop! Seriously. If I say I don’t want something don’t bother me about it again until I ask. Thanks. While FreshBooks is a little less polished than Xero or QuickBooks Online, app based time-billing capabilities make it a truly useful business accounting app. While it’s not quite as polished as the other apps, FreshBooks (3 out of 5 rating; $0 to 40 per month depending on plan selected) is my personal favorite. What, for me, puts FreshBooks ever so slightly on the plus side of the balance sheet? Simple: Portable time billing in an app. FreshBooks is the only online accounting application that provides an iOS and Android timer you can use to track time billing in the field. A feature missing from all the other apps. It’s a small thing, but critical in my line of work, where I often bill clients for the time I spend on location. While I love FreshBooks’ time billing, I do have a complaint. FreshBooks’ timer doesn’t remind you that it’s running. No badges, no warnings, no clues that you’ve accidentally left a timer running for 36 hours. Beyond time billing capabilities, FreshBooks offers an easy to use interface that provides a number useful features, chief of which is its ability to import existing data from a variety of sources. I was able to import all of my client information in a matter of seconds using the vCards you can export from Apple’s Contacts app. None of the other apps were able to do that. While a free account plan is available, it’s almost useless. Kashoo offers all the tools you need but lacks an interface that’s as nice to look at or as easy to use as the others. Like QuickBooks Online and Xero, Kashoo (2.5 out of 5 rating; $20 per month) has a lot to offer in terms of accounting tools, although I found the Web app’s interface to be on the austere side and, as a result, a little confusing to use. Like all the other apps, Kashoo can be linked to your credit card and back account so that it can easily download income and expenses and reconcile transactions. The user interface consists of three columns, the first of which allows you to navigate through Kashoo’s tools. 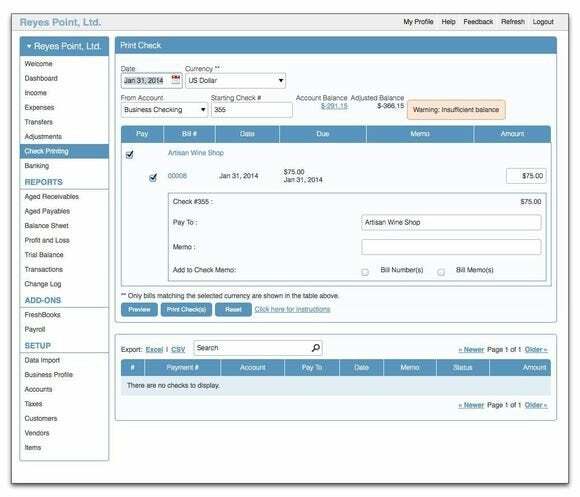 The center column changes depending on which of the tools you’ve selected and can display tabs for receiving payment from your clients or creating invoices. 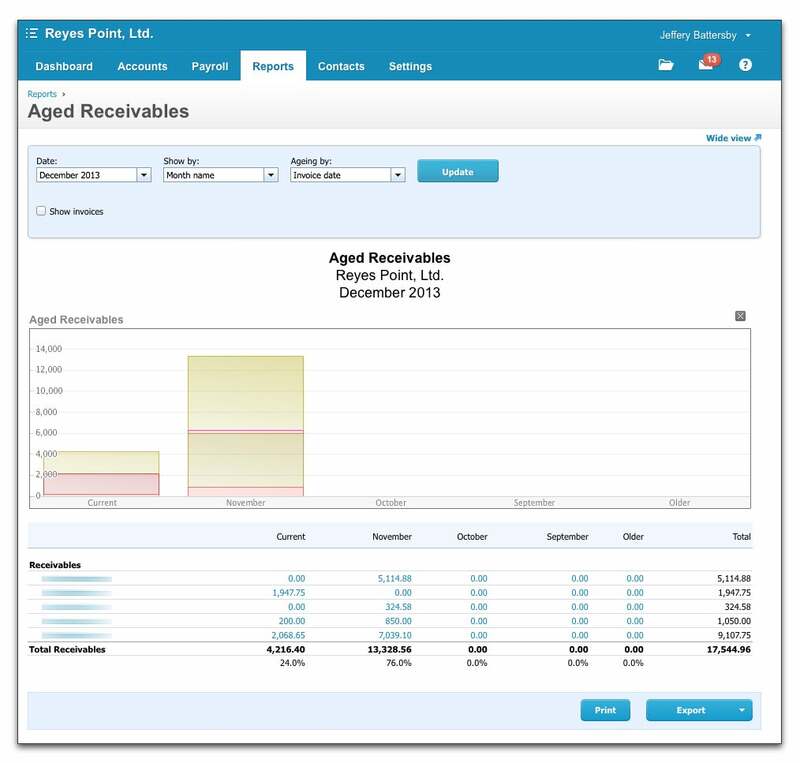 This same column is also used to display report information such as profit and loss statements and aging reports. While Kashoo is quite capable of handling your business transactions, I found Kashoo’s Web interface to be less than it could be, especially after having used the other three apps. In fact, I found Kashoo’s iPad interface to be easier to use than I did the Web site, but I don’t want to do all my business accounting on my iPad. What’s the bottom line here? Honestly, they’re all so close it’s challenging to choose. FreshBook’s time billing makes it a personal favorite for me. It’s a feature I wish I had in QuickBooks Online and it’s likely that, if I were starting anew, that feature alone would push me over the edge. QuickBooks Online is beautiful, familiar, and easily downloaded transactions from every source I threw at it, but I hate the feeling that I’m constantly being up-sold to some other feature or product. Xero is spot on; while it doesn’t have the visual beauty of QuickBooks Online, the fact that you can add as many users as you need without breaking the bank makes it a tool you can grow with.